E&D WP21: Losing ground: a critical analysis of teachers’ agency for peacebuilding education in Sri Lanka. Mieke Lopes Cardozo and Céline Hoeks. E&D WP16: Turbulence in Bolivia’s normales: Teacher education as a socio-political battlefield. Mieke Lopes Cardozo. The book Los Futuros Maestros y el Cambio Social en Bolivia published in 2012 (English version Future Teachers and Social Change in Bolivia, published in 2011) of IS Academie coordinator Mieke Lopes Cardozo has been reviewed (in Spanish) by Bolivian scholar B. Lozada Pereira (Estudios Bolivianos N° 18, 2013, La Paz, Bolivia).For the review, please click here. 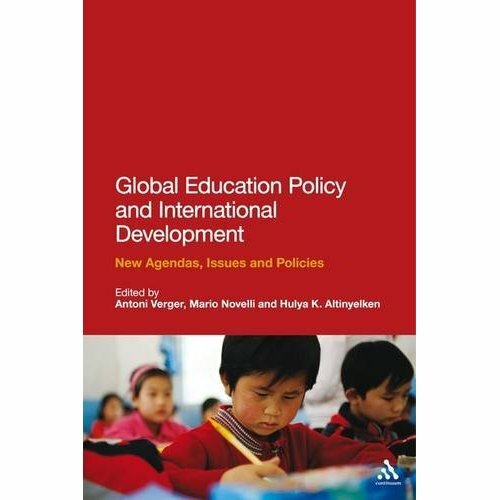 Drawing on international case studies and a range of theoretical perspectives, this book aims to analyse the reasons, agents and factors behind the globalization of educational policy and, by doing so, reflect on the structures, processes and events through which a global education policy landscape is being constituted. Please find more information on the book at the publisher’s website Continuum. Download a free copy of the BOOK INTRODUCTION from here.